This review explains why you should not use MM4U for trading binary options, it’s a scam. Money Making 4U claims to be a website that will help you make money. You will fill in a questionnaire and they will select for you the allegedly best money making program. 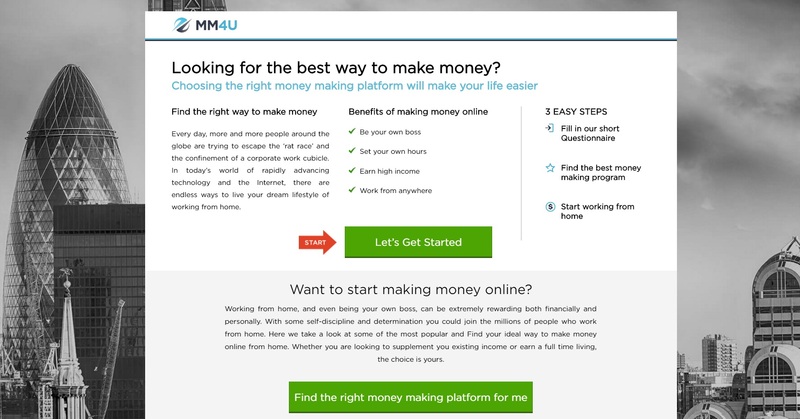 With MM4U you allegedly can make over 50,000 dollars per month if you do it full time. And it is of course free, because money is free, right? It might not be obvious, but MM4U is about binary options. And the questionnaire is just a game, they will always select the same binary options trading platform for you and an unregulated broker. 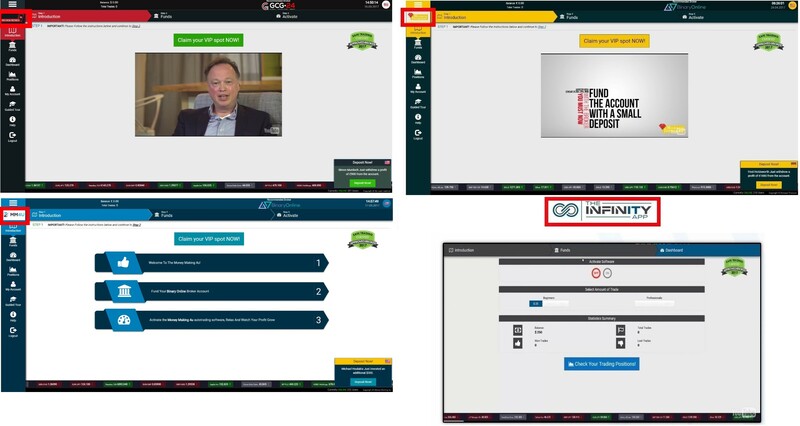 What’s more, the trading platform they will give you access to is a known scam software. Look at the picture and you’ll see that this same app is used by scams like My Cash Method, Monaco Treasure or The Infinity App. And the feedback from real users about this platform is absolutely clear, it is losing money in real trading! The whole purpose of MM4U is to make you deposit money with an affiliated broker, because if you do it, scammers who run this program will earn a commission. That’s all. This is why they tell you their story, they will do everything just to make you deposit, so that they earn their commission. Their trading software will then lose your deposit in trading. MM4U is a simple scam that will make you lose money with a crappy trading software. Stay away from it! To really make money with binary options you first need to learn and build a profitable strategy. You can try and do that on a free demo account with a regulated broker. Forget about free robots, they won’t make you any money.